One of the ways we've embraced Winter this year is by making a list of all the snow-day activities we want to do. Then when there's snow on the ground, we can bundle ourselves up and make some fun out of it. After all - my kids adore the snow - and I just can't imagine their little lives without it anymore. So one day this week, when we were surprised by a couple of inches of snow, we decided to take a cue from Ma and Pa in our Little House in the Big Woods book and try our hand at making Maple Candy. 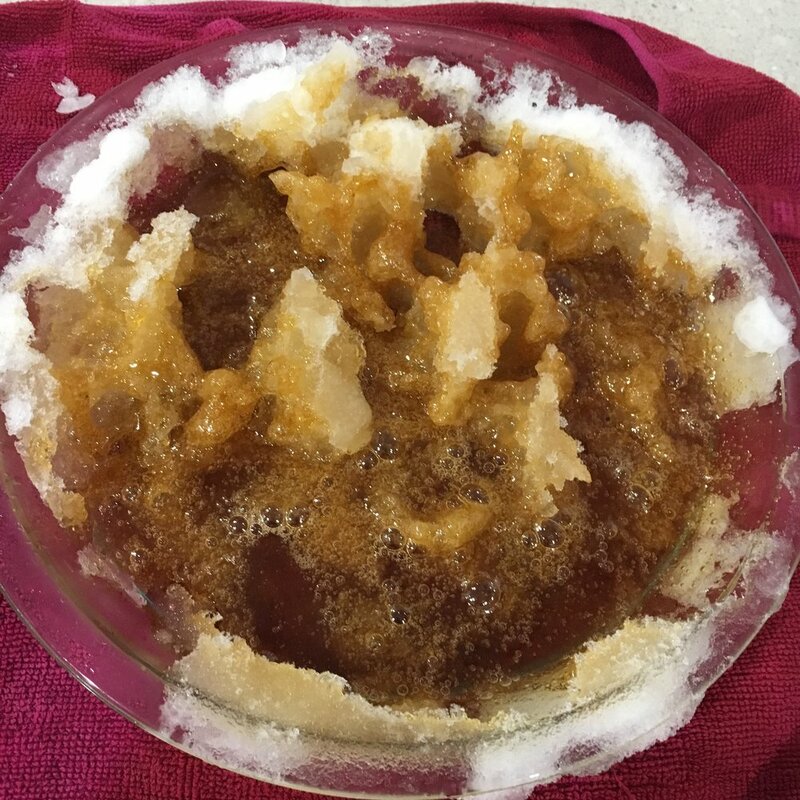 As you can see here, I poured way too much maple syrup in our pie pan of snow, so then we rushed outside to add more snow, thinking that would help it solidify; but all it really did was turn it into a big pie plan of mush. We ended up with something that resembled maple snow cream ... but we did end up with a few pieces of soft taffy at the bottom. Next time I'll use less syrup and boil it a bit longer so it hardens a little more. Regardless, it was delicious, and we made a happy Winter memory - so all in all, I'd say it was a big win.